Perfect for large groups! 48 plastic flower pots come with drainage holes and saucers. 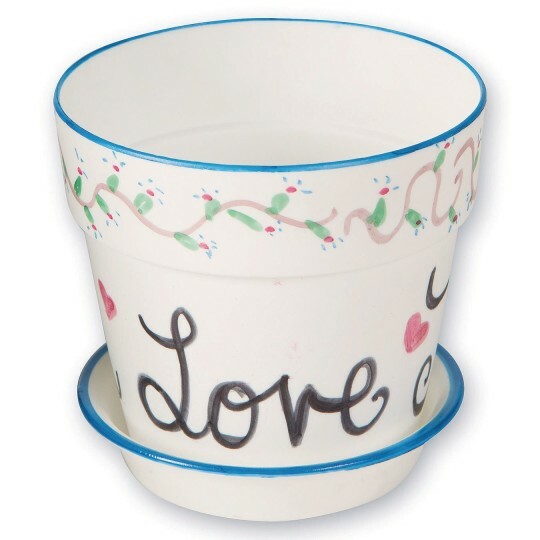 Decorate with permanent markers, crayons, stickers, or acrylic paints (sold separately). 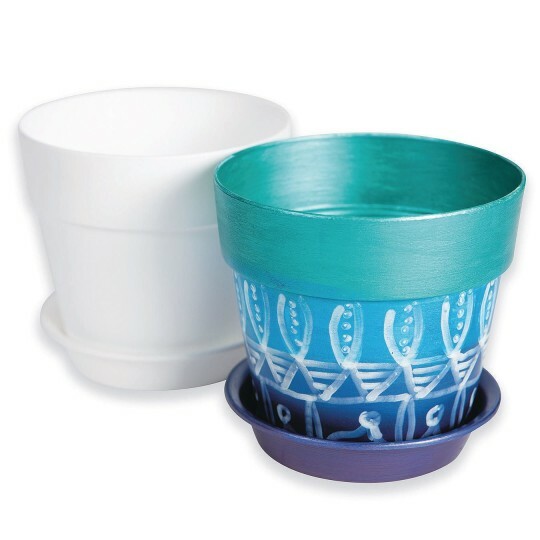 Pot measures 3-1/2”H x 4” diameter at top. Saucer measures 1”H x 3-1/2” diameter at top.